Niyazbek Aldashev was the beloved founder of the LORENZ Law Firm in Bishkek in 2007. Over the years, he built a specialist legal team to serve as the leading international law firm in the Kyrgyz Republic. Mr. Aldashev passed away in the summer of 2016 at the age of 47. The legacy that Mr. Aldashev left for his LORENZ team comprises his specialty fields of corporate law (including cross-border investments, and financing and energy projects) and international dispute resolution/arbitration. Mr. Aldashev’s expertise was in M&A transactions, tax (including tax foreign planning), and anti-monopoly and secured transactions. His most important clients included large corporations from the mining industry, the telecom sector and the banking world. Niyazbek Aldashev studied at the Institute of Corporate Directors, Rothman School of Management, University of Toronto, Canada, DEP, 2012, Westminster University, London (United Kingdom – MA in Diplomacy, 1995), St. Petersburg State University (Russia – Ph.D. in International Law, 1993, and Leningrad State University (Russia – Juris Doctor, 1990). Mr. Aldashev was an IBA Fellow in International Legal Practice (New York), a Member of the Riga International Commercial Arbitration Court (Latvia), a member of the Brussels Bar (Belgium), Member of the Association of Lawyers of Kyrgyzstan, an Arbitrator of the International Court of Arbitration of the Kyrgyz Republic and a Member of the International Bar Association. 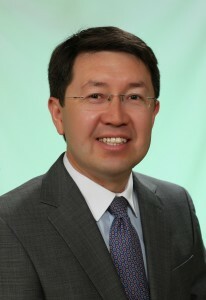 Alongside his legal career, Niyazbek Aldashev held the post of Honorary Consul of the Kingdom of Belgium in the Kyrgyz Republic (2008 – 2016) and served as member of Board of Directors of CENTERRA GOLD Inc. (2011-2012, member of the audit, corporate social responsibility, human resources and compensating committees). Prior to LORENZ, Mr. Aldashev practiced law at LeBoeuf, Lamb, Greene & MacRae LLP, Bishkek (Kyrgyz Republic) and Brussels (Belgium), Baker & McKenzie, Almaty (Kazakhstan), and Mayer, Brown & Platt, Bishkek (Kyrgyz Republic); before entering the legal profession, Mr. Aldashev was the Chief of International Law Department of the Ministry of Foreign Affairs of the Kyrgyz Republic. The LORENZ team is determined to preserve Niyazbek Aldashev’s legacy in the Kyrgyz Republic and around the world by honoring the professional standards he laid down during his exceptional legal career.